The neck traction collar is an excellent self treatment device for neck pain. 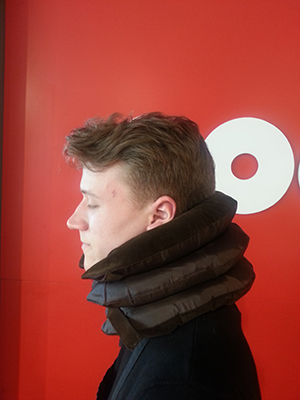 Just pump up the collar and feel the stretch and relief from your neck pain. Keep it pumped up for five minutes and repeat several times a day. The package includes full instructions and delivery is included in the $30.00.